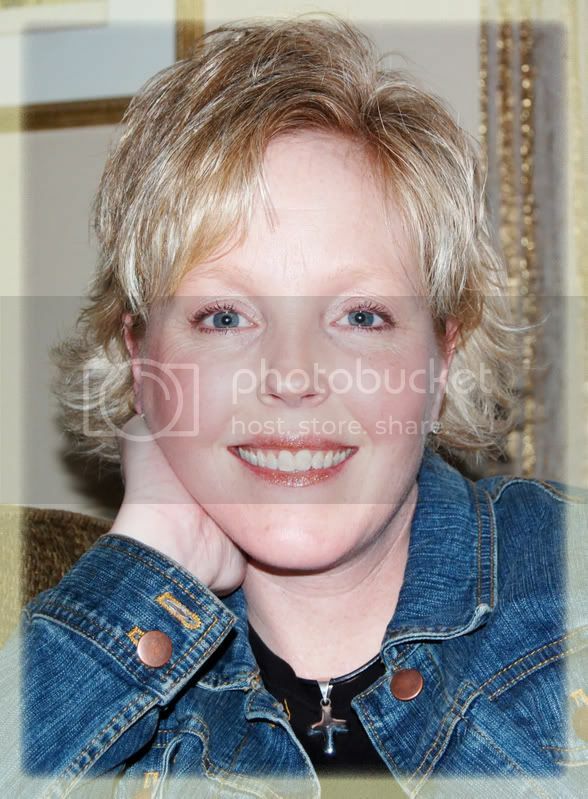 This lovely lady is MY mom. She's as good as they get. Do you think we look alike? I love her so much and am so thankful she is still in relatively good health and good spirits. 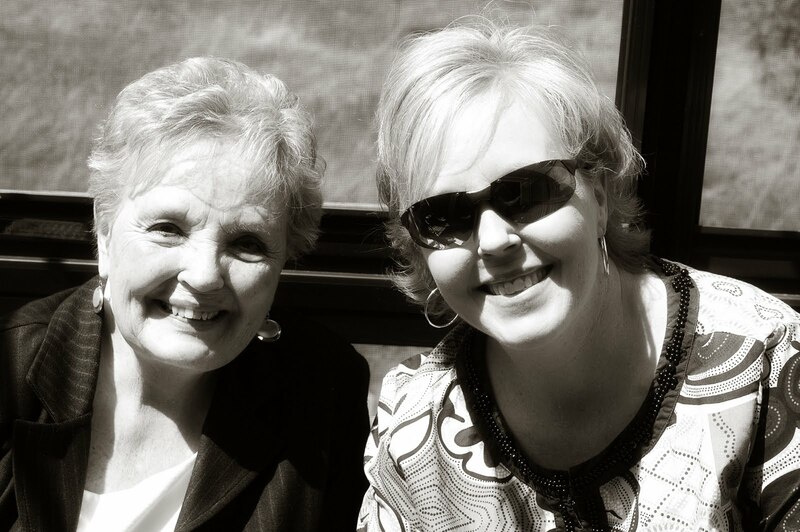 I am her only daughter, the youngest of four children. I can only hope I'm as good as her some day! And finally, here's a card for you. I was feeling a little margarita-like one day and dug this stamp out of the hardly-ever-used anymore pile of stamps I have collecting in my stamp room. The paper I used was a piece I got from my friend Lue, and I ADORE it! It was in a 12x12 pack of paper from K & C I think. I need to go searching for it online, because I've never been lucky enough to find it in a store. 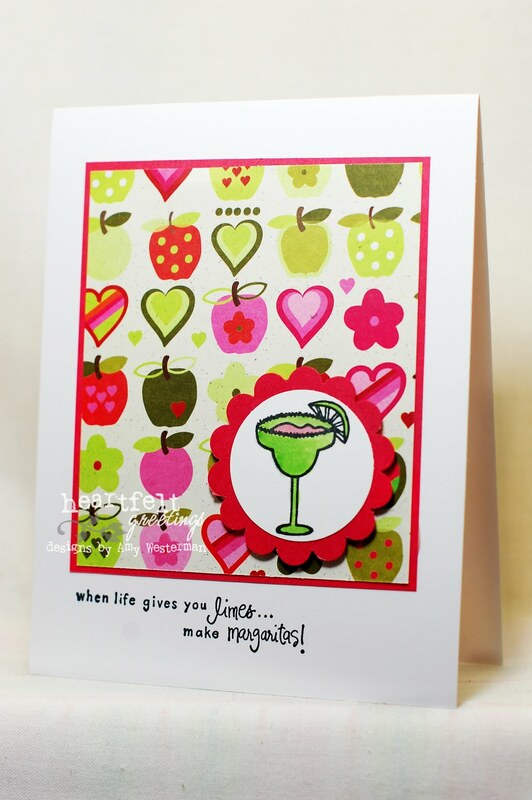 The margarita stamp and sentiment stamp are both from Amuse. Well, tonight is a great night for TV watching....IDOL, BIGGEST LOSER, and GLEE! And it's Taco Tuesday at the Westerman household tonight for dinner, so no big clean-up necessary. Gotta love that. 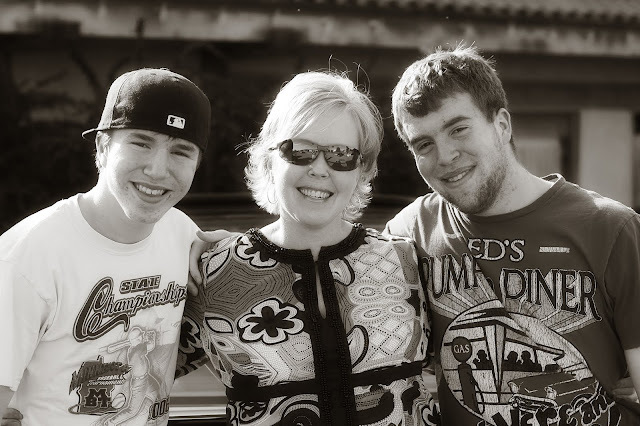 i love being a mom to my boy (young man--he's nearly 16), and your photo has inspired me to get a picture of the two of us! here's a little funny from my mother's day. i asked my son what he would miss most about me if i weren't around, and he said, "well, the house wouldn't be as clean..." he's deep and emotional, can't you tell? i still would choose him above all the other boys in the world. PS - loved the card too! That card is so cute. Your pics are beautiful Amy! Handsome boys...and your mom is beautiful! Did you eat at the West Wing in River Falls? They have good food if you didn't. No child is perfect and my two aren't but I love them the way they are. Missin' your posts, amy. Hope all is well with you and your family.